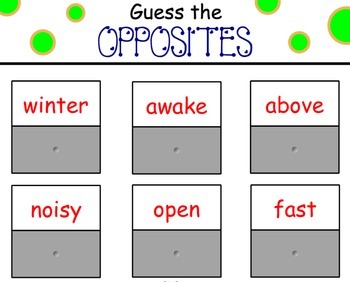 Need a fun lesson to teach or review opposites? My SmartBoard lesson is just what you need! 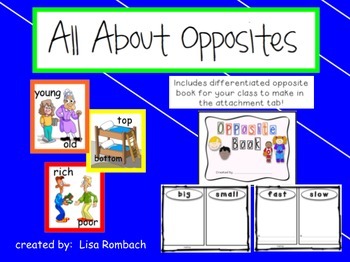 The file includes a teacher's lesson plan, interactive pages, video links, link to interactive website and a printable 22 page master for a class book about opposites. A printable book cover is also included. 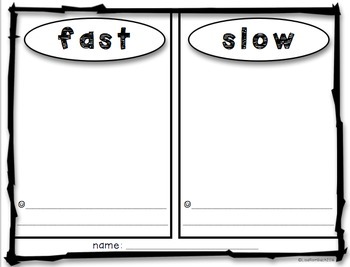 You can read 2 Dr. Suess books (The Foot Book and One Fish Two Fish Red Fish Blue Fish) and then link to opposite worksheets that can be downloaded and printed. LInks are included on the pages. 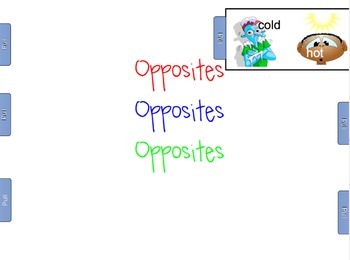 Have fun learning about opposites! UPDATE March 2016! This file now includes a differentiated version of the opposite book. This PDF is located in the attachment tab (or click the link on the notebook page in the file to open it). There are 21 pages of opposites and a master page you can customize. One version has sentence lines and the other version has no lines. This is a .notebook file and requires Notebook software to open. Click below to see other Language Arts SmartBoard lessons!